A powerful Inventory Management module that builds visibility and control over inventory costs, ensuring that there is always enough stock at hand to meet customer/company demands. The module helps review and control the stock levels, processes inventory receipts, returns, transfers and adjustments. Tracking of availability of stocked items and status of stock on requisitions. 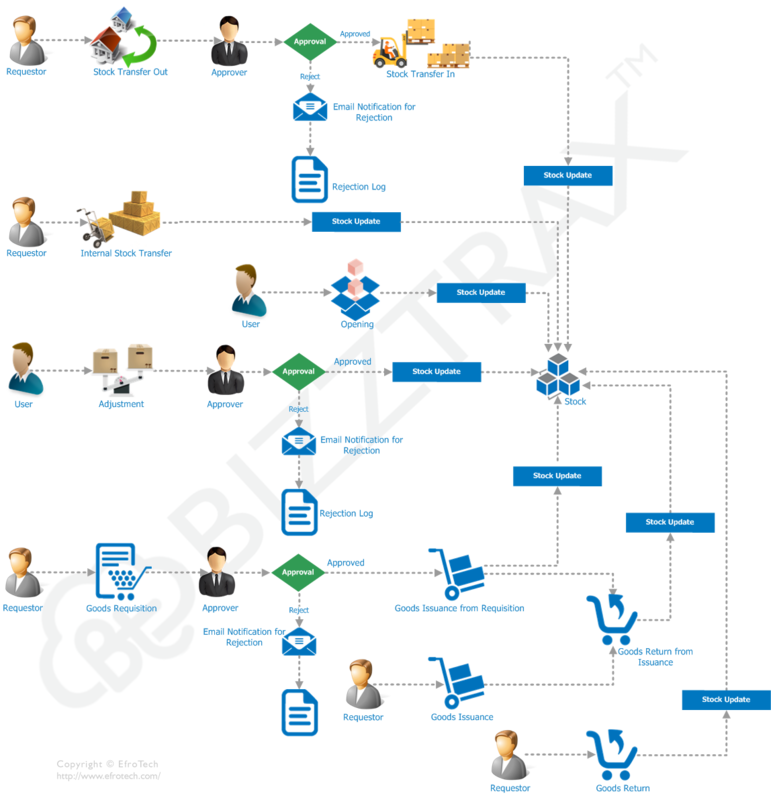 Complete business process flow is created through purchasing, receiving and accounts payable.